Self-acting temperature regulators requiring no electricity. 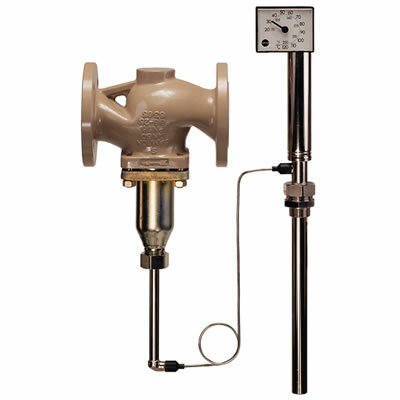 • Pressure-balancing bellows provides improved flow and differential pressure performance. Self-acting design simplifies installation by eliminating the need for power supply and instrument signal lines. 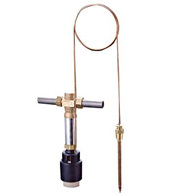 Wide set point range and simple set point adjustment provide easy operation. Control of heating temperatures for heat exchangers, hot water production facilities, air-conditioning equipment, plating machines, , etc.